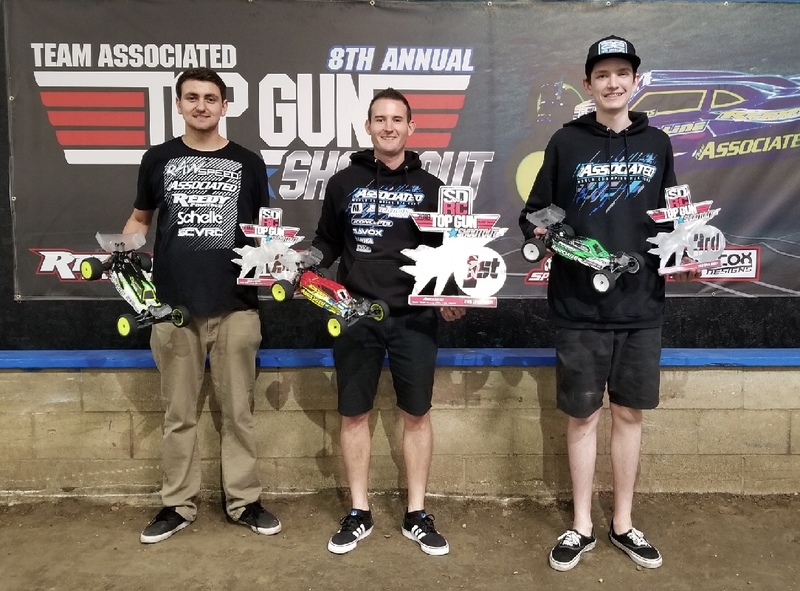 www > Race Report > Ryan Cavalieri 2018 Top Gun Shootout Double Win!! 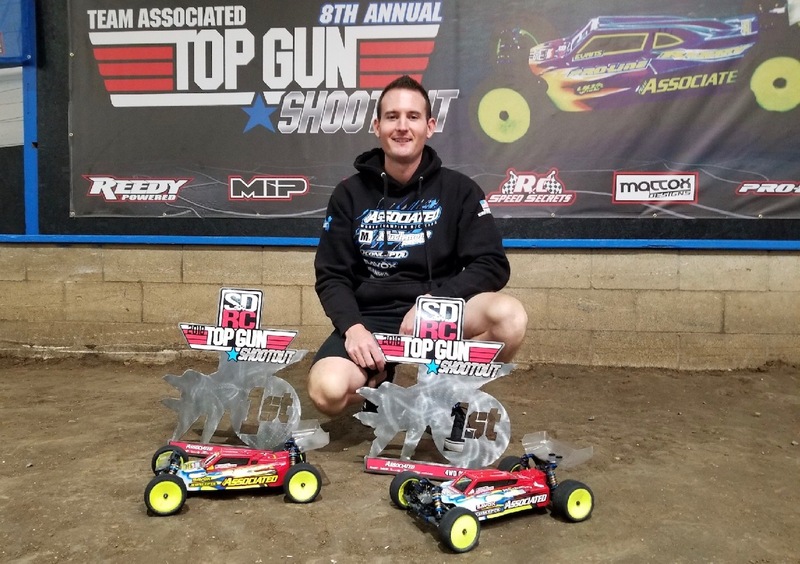 Ryan Cavalieri 2018 Top Gun Shootout Double Win!! 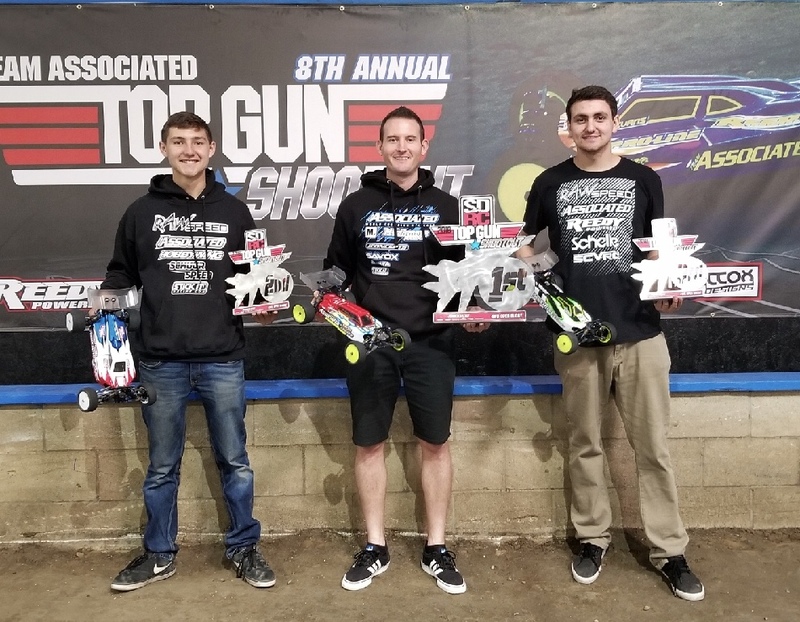 The 2018 Top Gun Shootout was held this past weekend at SDRC in San Diego, California and brought in an impressive 231 entries! Muchmore Factory Driver Ryan Cavalieri made the 1-hour trip south to attend this great 8th annual event. 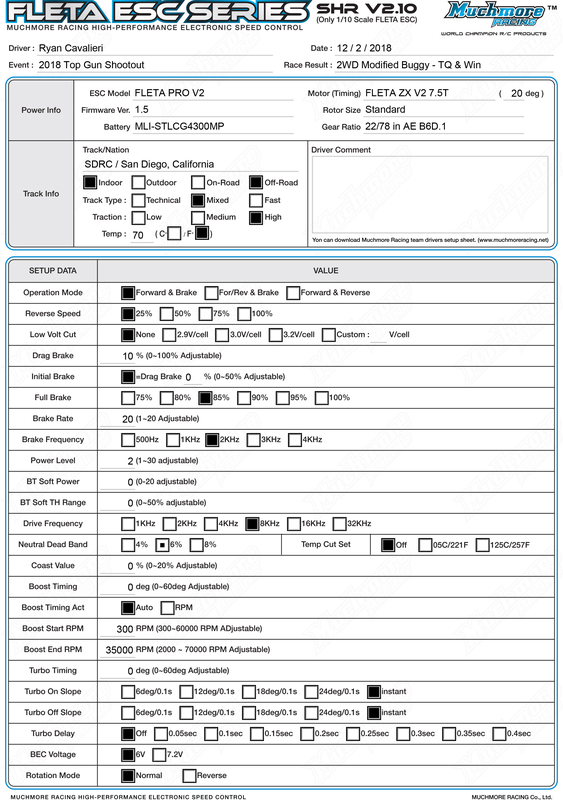 In the 2wd Modified Buggy class, Cavalieri was dialed in and went onto secure the overall TQ! Cavalieri then went onto dominate the single 10-minute A-Main by leading every lap to take home his first title of the weekend! 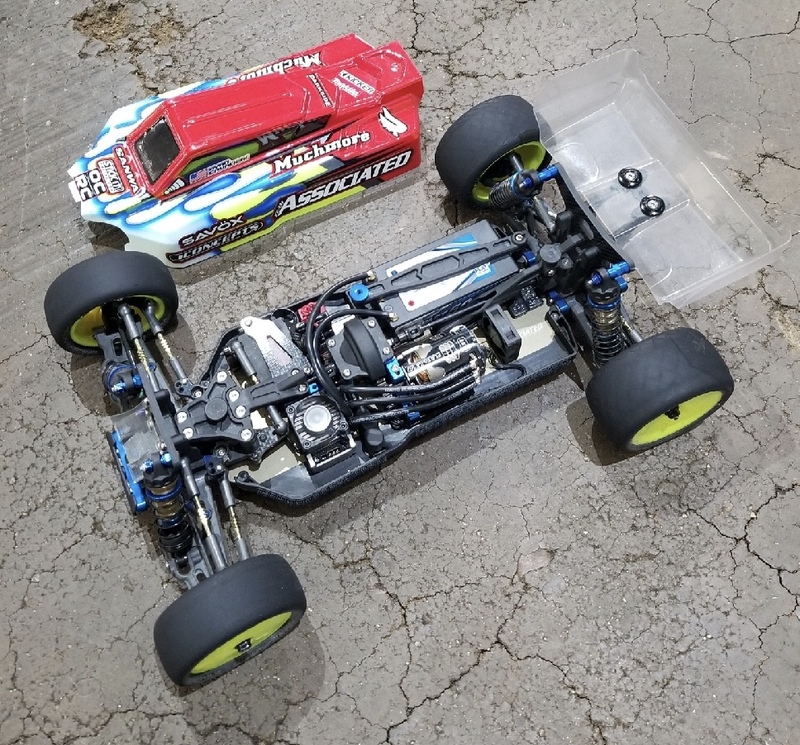 In the 4wd Modified Buggy class, Cavalieri ran strong in qualifying and would start 3rd on the grid for the final. 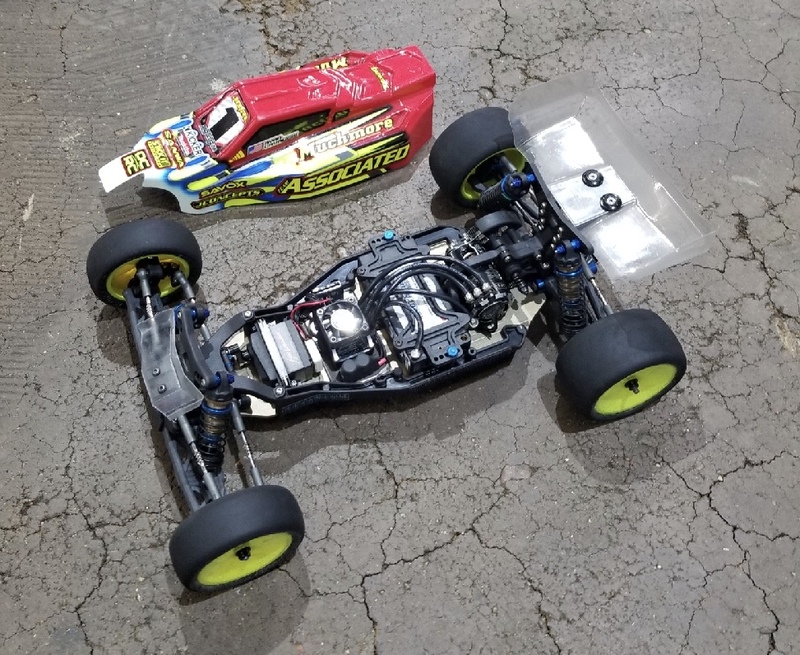 Cavalieri quickly worked his way into the lead on lap #4 and never looked back to take the Win in the single 10-minute A-Main and claim his 2nd title for the weekend!